Got a bit of dust in my eye watching those vids! Did some dust get in Number 9’s eye or was he using the references Number 3’s been using recently? To all ‘Team Tonka’ wherever whenever you served. A heartfelt THANK YOU one and all. Amidst all the positivity and good will that Tornado retirement activities have generated, it’s painfully obvious that some in the ex-Harrier community just can’t let SDSR10 go. But he is right though. No, he isn't. Yesterday's performance was filmed by hundreds of people from all sorts of angles and most of them are going to look 'wrong' somehow. 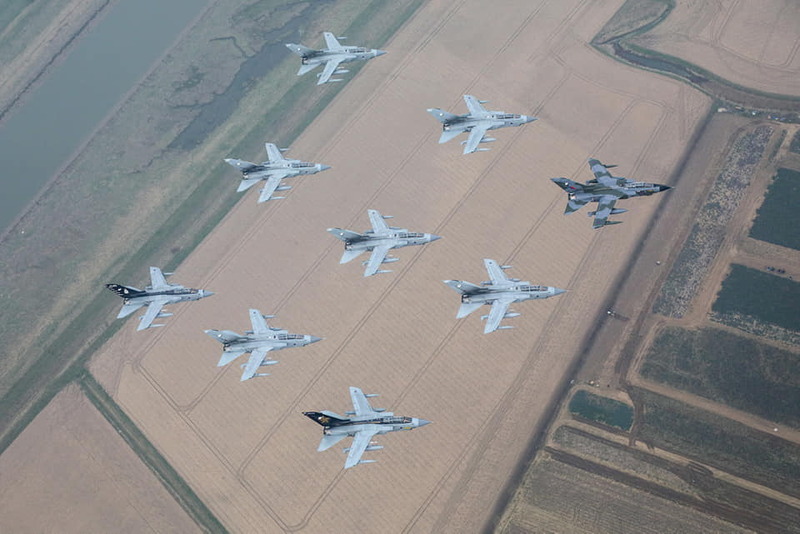 Not only did the Tornados put in a highly polished flypast over a Cranwell parade in what look like rubbish conditions: they had the confidence to put in a manoeuvring performance in Diamond 9 at Marham, and very presentable it looked too. That deserves a measure of respect rather than petty criticism, IMHO. Last edited by Easy Street; 1st Mar 2019 at 20:58. 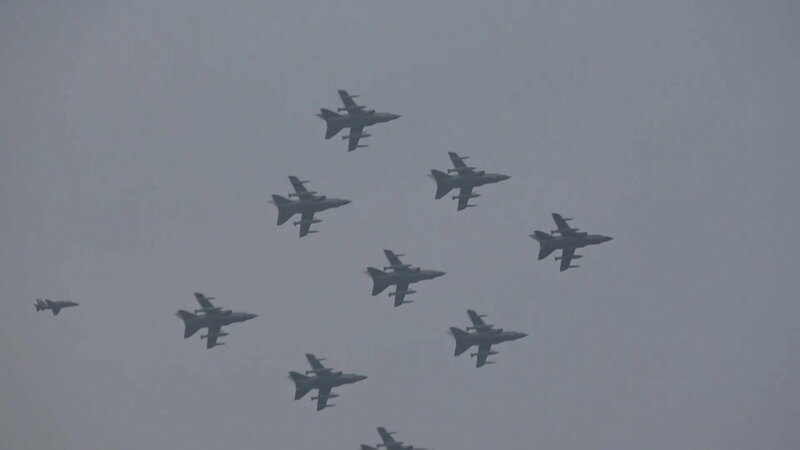 Another thing one should keep in mind: they aren't the Red Arrows. Diamond 9's are not their "bread and butter" like a professional display team. 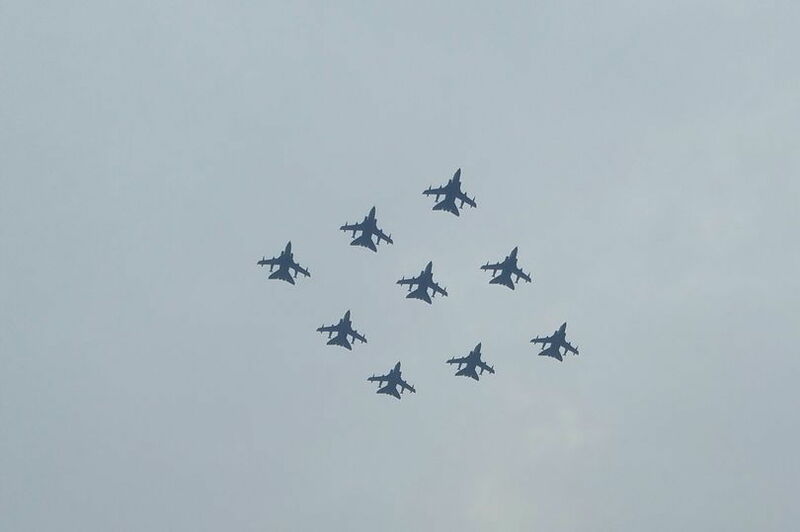 They did incredibly well considering they have not had an entire winter to rehearse that formation. For those who are interested and who use facetube then pop onto the R.A.F MARHAM AIRCRAFT SPOTTERS GROUP ( link may not work for all as it is a closed group and you would need to request access.) where there are some fabulous photographs, not so much of the flights, but of the post-flight celebrations. Regrettably I was in on the wrong side of the country to get any photos but from what I have seen then the guys did the us all proud. 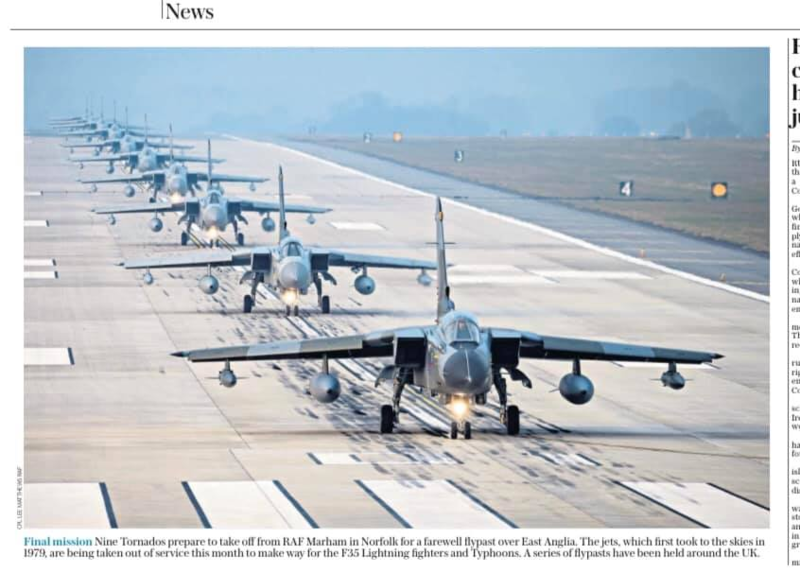 The Marham guys did an incredible job, fair play to them. Tornado GR1/4 has had a career that I don’t think any other fast jet can hang it’s hat on. There are very few things that make me proud to serve in the RAF these days. 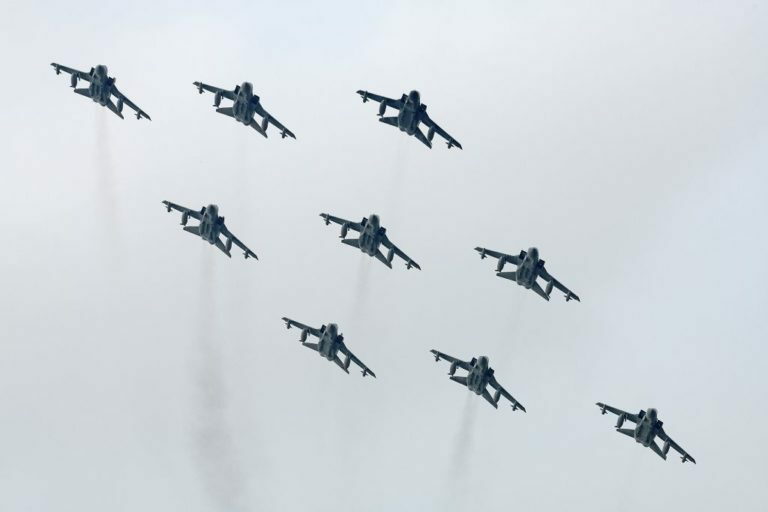 That flypast is one of them. Well done guys. Very well said. Everybody involved has much to feel extremely proud of. I never really thought that Tornado would turn in to such a brilliant workhouse because of its complexity but it became so flexible and adaptable. I agree entirely. Only a few weeks ago these crews were flying ops over Syria. They are not display pilots but what they put on for us this week was just wonderful and a worthy tribute to one of the best strike aircraft to serve with the RAF. I wonder how long it will be before the nay-sayers realise just how pathetically trivial they are and resort to complaining we can't take banter which merely highlights how misplaced their tone was in the first place. I have some photos from the hangar party which if I can remember to do it, will post here. Well said JAJ. Overall, I have been very impressed with the FINale. Some nice, composed and professional flying, IMO. There wasn't 9, there was 10 in this image. And it was taken ~15 minutes after they all landed. Perhaps the most fitting tribute video.. There are some nice tributes going around but I like this one due to the topography and video quality. Of course we will all have our own favourites I just like this one. What a brilliant video - many thanks for posting the link!